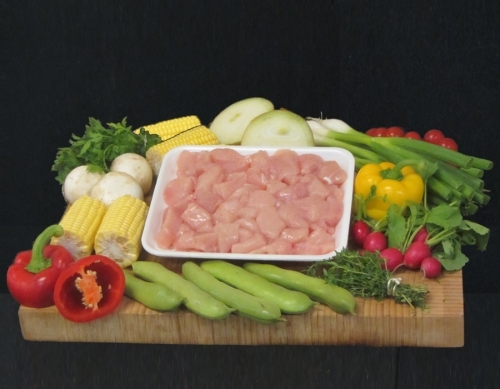 An extremely versatile product our hand cut diced chicken is ideal for curry, casseroles, pies etc. Easy and quick to cook its a favorite among British households. We pack our diced chicken in 500 gram packs to make it easy for home freezing.